Before the credit crunch of 2008, credit card issuers had relaxed standards for issuing credit cards and consumers had an easy approval process. Now, a credit score of 720, which used to be considered excellent, may not get you approved for a prime credit card. After the credit crunch an excellent credit score is closer to 750. All of your ducks have to be in-line to get approved for a prime credit card. Subprime credit cards are easier to get approved for but they may come with higher interest rates and less or no rewards benefits. A good payment history is vital to applicants seeking new credit. If you have a good track record of paying other credit cards on time, credit card issuers are likely to approve you for new cards. Carrying a balance will not hurt your chances of getting approved for a new credit card but carrying a high balance may. If the percentage of your credit account balance is higher than 30% of your available credit limit, you may not get approved. Credit card companies like to see low credit utilization. Using no more than 30% of your available credit is a good rule to follow. Because credit card issuers like to see low credit utilization you should avoid using one credit card for all of your purchases, unless the credit limit is high and the purchases do not amount to more than 30% of your available credit limit. If you have another credit card, spread the purchases over both credit cards in order to avoid putting all charges on one card. A diverse mix of credit may improve your credit score. A variety of credit accounts such as credit cards, retail cards, auto loan, mortgage loan and even an installment loan such as a student loan creates a diverse mix of credit. A bank account shows financial responsibility. But a checking account at the credit card issuing bank may improve your chances of getting approved for their credit card. In some instances such as a secured credit card, it may actually be a requirement to have a checking account at the credit card issuing bank. Credit card issuers like to see high credit limits and often assign a similar credit line if they decide to approve you. But keep in mind; they want to see a high, unused credit limit, not a high credit limit that is maxed out. Typically non-credit bills are not part of your credit history; unless, you pay late or leave a bill unpaid. An unpaid utility or cell phone bill could end up at a collection agency. A collection account, especially if it is recent, will tank your credit score. A long credit history can do wonders for your credit score. Start building credit before you actually need credit, especially if you want to purchase a home some day. Credit card issuers like to see how well you have managed credit over a period of time. Even if your first credit cards had small credit limits and are no longer in use, do not close them. Keep older credit cards on your credit history to help your credit score benefit from the length of credit history. For consumers looking to rebuild credit you may have to settle for subprime credit cards or easy qualifying credit cards. 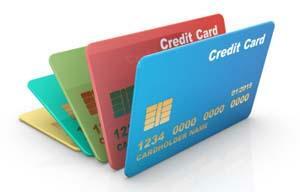 These types of credit cards carry less stringent credit qualifications and come with fewer, if any, rewards. But with the correct management of a subprime credit card you can be on your way to a prime credit card in as little as 9 months. The Matrix Hybrid Credit Card is a subprime credit card that people with no credit, poor credit or limited credit can apply for. With timely monthly payments you can improve your credit scores.